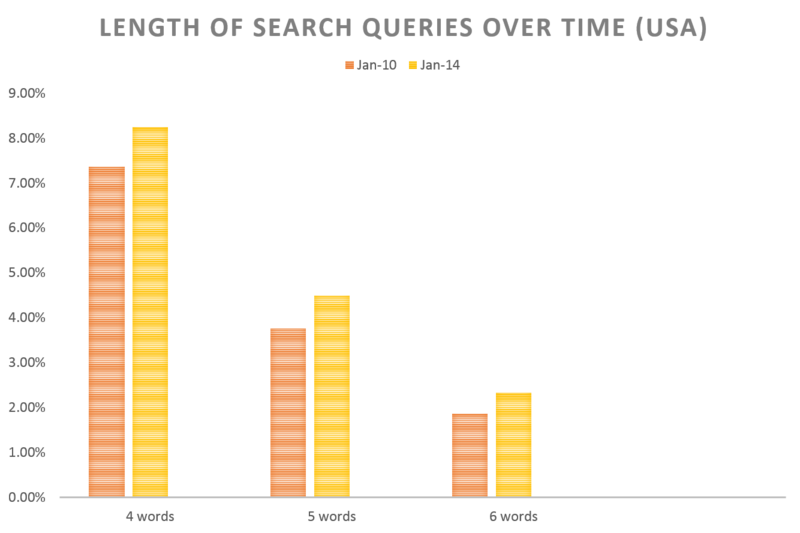 In January 2010 7.36% of all US search queries consisted of four words. In 2014 it was 8.25%. That’s an increase of 0.89%. In January 2010 3.76% of all US search queries consisted of five words. In January 2014 it was 4.49%. That’s an increase of 0.73%. If the above statement is true, very little on your website can be left to chance. As we grow accustomed to find what we are looking for quickly, our patience with websites decreases. If your website is too slow you will lose visitors. If your site is confusing you will lose visitors. If your website has an ugly design you will lose visitors. The list of reasons why your visitors are likely to leave is too long and painful to go through. There are plenty of things you can do to fix this but what about the visitors who actually come to your site and decide to stay. Can we simply assume that they are not affected by slow loading times or bad navigation? No, your site is a reflection of your company. A bad site will leave a bad impression. Let’s look at seven elements of a website that reflect who you are and how well your products, services and support are working. Last week I wanted to register for a month’s free trial of a web tool. The tool is a tracking tool that will help me understand the behaviour of our website visitors in order for me to improve the usability of our website. I had done my research and spoken to a member of their sales team and I was ready to sign up. The tool seemed great! As I started to register for the free trial though I had a change of heart. Why? Because the registration process was so badly thought through. It was confusing, I had to answer some of the questions twice and had to provide, in my opinion, way too many personal details. Now, this is a company who promised a tool that can help me improve the usability of our site but their own usability was awful. This led me to think that their product is equally awful. I imagine that it is hard to use and has a clumsy, confusing interface. On top of that I got a suspicion that they would haunt me with various sales emails. Their product might be excellent and easy to use but that’s not the impression I got and am not willing to find out. Design is important because it reflects your brand, products and services. 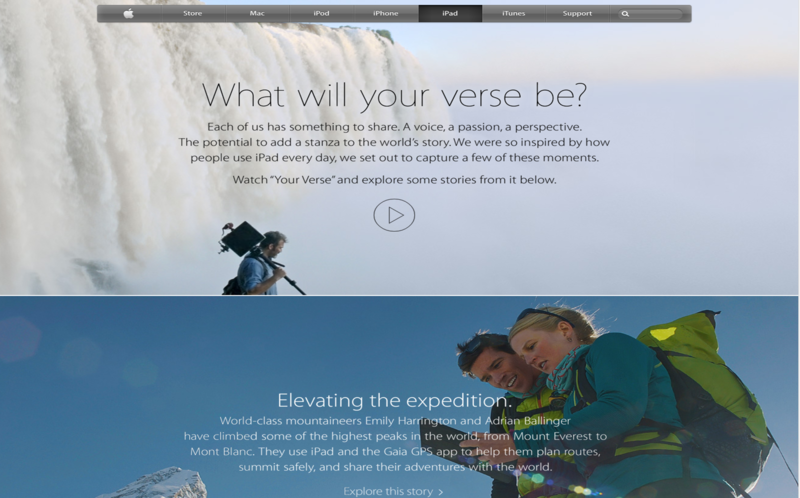 The Apple store is currently highlighting the iPad Air on their website. The choice of imagery, the size of images, use of fonts, the clear overview and clean design they use is a reflection of the product itself. Imagine they had used dark colours, tiny images and heavy text throughout the page. What would the impression of the product had been? That it is light and easy to use or, that it’s a new device that is a bit tricky and hard to get started with? Bigger companies usually have a style guide somewhere on their intranet with clear explanations of the use of punctuations and abbreviations. It can be hard to foster a genuine tone of voice with many different departments and Copywriters but for medium and small businesses with one or two Copywriters you can create a unique style that reflects your products and services. Do you use industry jargon, is your tone of voice funny, insightful or tech heavy? Whatever style you chose it says something about how you operate as an organisation, how fun you are to do business with and what your customers can expect from your products and services. It’s easy to brush small errors and hiccups on your site to the side and simply learn to work around them. They are usually ignored with the argument that they are too tiny to care about or that visitors will still find their way on the site and understand what you’re trying to get across. This might very well be true but it will also cast a shadow on your company, products and services and your approach to business. The small error or hiccup might not be your responsibility or it might have been done by someone in another department or by a web agency that you’ve hired. Either way, your visitors don’t know this. For most visitors the website is your company, they will not take your different departments into considerations. This is the same reason people will be angry with a waiter because the food (the waiter didn’t cook) was bad, or why the support team will get an earful for a faulty product (they didn’t build). Your site should be fast. Page abandonment increases for every extra second it takes for your site to load. This all makes sense but what people usually don’t think about is that a slow website throws a shadow on your company as well. If you have a slow loading ecommerce site for example it can give the impression that you don’t care about the visitors time on your site and/or that it will take time to get products delivered and/or that you don’t have a tech savvy team on board. The latter can be even more damaging for ecommerce sites that sell state of the art technology. Your website should be updated frequently since new content is the main reason visitors come back to your site. What is the reason to come back to your site if you don’t provide new content? Another reason to keep it up to date is that text referring to past events in a future tense or uses parables that were common five years ago give the visitors the impressions that your company has a slow organisation or, even worse, that your company doesn’t exist anymore. My favourite social media used to be Myspace. The promising social media network that lost a lot of users to Facebook back in 2006. I have a long list of what I think went wrong with Myspace and the improvements they could have made but I’ll stick to one think I think went wrong. At some point it just felt as if no one was working at Myspace anymore and that the network had been left to fend on its own. There were very few updates and it felt as if the owners had lost interest in their own product. Why should its users invest their time and build their networks further if the platform will stay static? Just like there are different trends in fashion, music and film there are different online trends in terms of design, usability and what I will simply refer to as web technology. What I mean by web technology is sliders, carrousels, web apps (twitter feeds pulled into your site, share buttons etc.). Just as fashion tells us something about a person (right or wrong), the use of web technology tells your visitors something about your company. 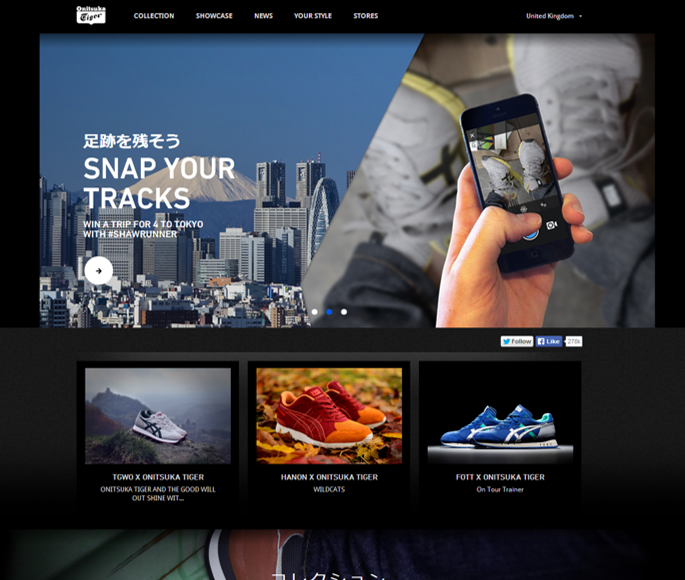 There’s a reason as to why fashion ecommerce sites and technology companies invest heavily in site updates. Imagine that the website for the latest Apple or Samsung product would use web technology that was heavily used three years ago. How would that resonate with their target audience? Or, imagine that big fashion brands like Burberry or Onitsuka Tiger would have clunky websites with fonts and design reminiscent of early 2000? Most companies are satisfied by keeping their content up to date and ensuring that the right brand elements are there e.g. a logo and the company font. As the company website is (or is becoming), the only experience your customers and potential customers will have of you, it’s worth giving your website a bit more care and love. How do you want your brand, products and services to be experienced? Can you emphasise your brand value through the design of your site, through the speed of your site? Can you give a glimpse of what to expect of your products through your Usability Design? Is the text on your site reflecting your brand? As the web is growing and our impatience for bad website experiences is at an all-time low, your site has to adapt. Running a website is not only about converting visitors, it’s also about building a long-term relationship and developing your brand. It’s your way to tell the online world who you are. Your website is a reflection of your company.